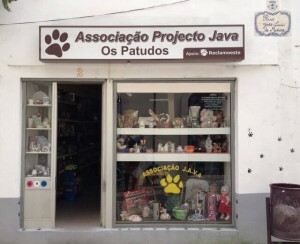 The "Patudos" Shop was given to the JAVA Project Association to promote the fundraising initiative entirely in favor of various daily care with our animals, such as: food, medication, sterilization and veterinary care. Through donations of semi-new and used goods donated by private individuals and companies completely free of charge, it is possible to sell a variety of items such as objects of decoration, clothing, footwear, toys, stationery, etc. at symbolic prices. To collaborate, it is enough to appear in our Shop to make a purchase or donate objects that are no longer useful for you. Mondays, Wednesdays and Fridays: 10:30 a.m. to 5:00 p.m.
Tuesdays, Thursdays and Saturdays: 10:30 a.m. to 1:00 p.m.
See here our location and our contacts. Be in solidarity with our Cause!